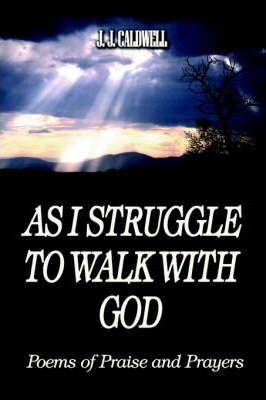 As I Struggle to Walk with God covers a variety of subject matter and has the ability to touch the hearts, minds, souls, and lives of those who are seeking to find God, those who are searching for His will for their lives, and those who are striving to have a deeper relationship with Him. This collection of poetry has heart, hurt, hope, healing, humor, and a few things that will make you go, "hmmmm." The scripture references with each poem will edify and encourage you, making this book a unique combination of poetry and Christian devotionals. Whether you love to pout about or praise God for what He has done and will do in your life, As I Struggle to Walk with God is sure to be a blessing to you!